Here you’ll find resources on a host of topics, from local parks and campgrounds, to doctors and clinics. 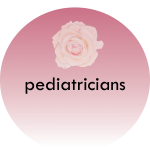 These guides and directories are curated by moms and for moms, and will be updated continually. Let us know if there’s anything you’d like to see, or if you want your business featured here.